Planted in sun…then the floods! Okay, so it’s a bit early to be planning the 2019 garden! I just barely finished planting this year’s garden!! But I needed a lift. I’m a bit depressed. It has rained for 13 of the last 14 days. It will be raining for the next 3 days, at least. My rain gauge – the wheelbarrow – is full, again. All I can think of is how soggy the roots of all my beautiful, raised from seed plants are. And I am also thinking that the 20 asparagus crowns I put in just a little over 3 weeks ago are rotting below their lovingly applied layers of compost, soil and straw. Rain is bad enough but the temperatures are not helping, either. Our highs are in the low to mid-60’s; our lows are in the mid 50’s. Today, we will hit the low 80’s then drop to 51 degrees with…thunder storms. grow a range of colors that will make great ferments and relishes and will be stunning to look at, served fresh with butter. Bite-sized kale ready for chips!. Five Color Silverbeet Swiss Chard Organic – blending 5 varieties of chard, Australian heirloom boasts a, “…day-glow mix of red, orange, yellow, pink and white.” Upright growth and juicy, tender stalks and succulent leaves, just what you want in Swiss chard! 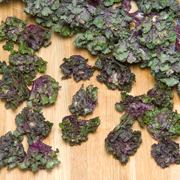 Autumn Star Kalettes® – Bite-sized, loose heads of frilly kale growing on brussel sprout-like stalks, the leaves are green and purple. These are new for this year and I for one will enjoy making kale chips with them! Palco Spinach Organic – from seed to salad in 38 days, Territorial calls this spinach, “…adaptable to planting in both cool and warm seasons, versatile for harvest as young, baby greens or full-sized, and bolt and disease resistant.” What’s not to like? 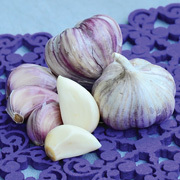 Music & Purple Glazer Garlic – both hard neck and both mid-season. Hard neck garlic I love! I love these garlics for their reliability in the ground and amazing flavor. And I love that they keep for months so I can enjoy homegrown, organic garlic all the way through the winter! I complemented my order from Territorial Seed Company with some seeds from another favorite organic source, Baker Creek Heirloom Seeds. Blauhilde Bean – my all time favorite pole bean with a great growth habit and prolific production of the tastiest green beans on the planet…which are actually deep purple pods! 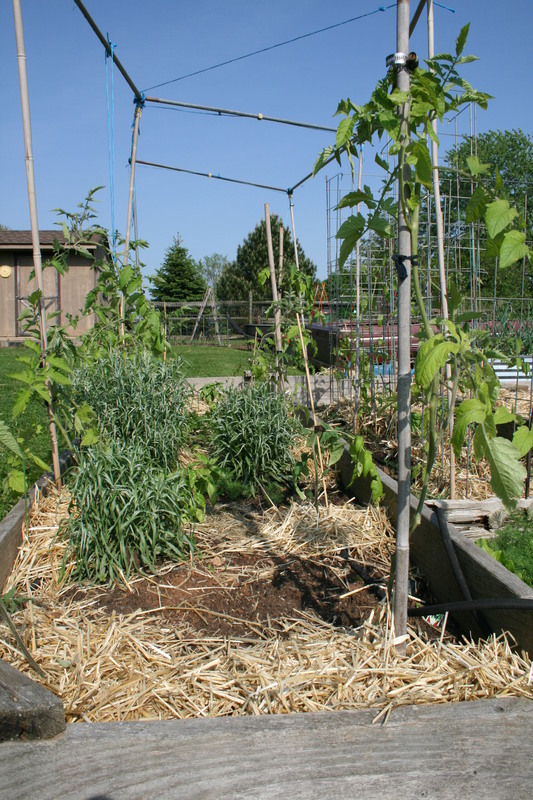 In any case, I have not planted any other pole bean or green bean since I met Blauhilde. 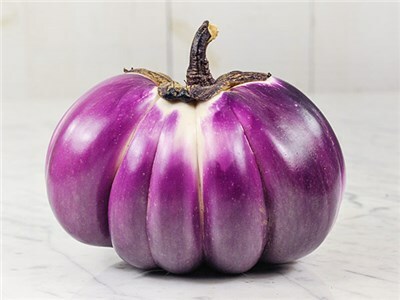 Prosperosa Eggplant – straight out of Tuscany by way of Baker Seeds, this beautiful eggplant is round to slightly teardrop shaped, and sometimes very slightly ribbed. 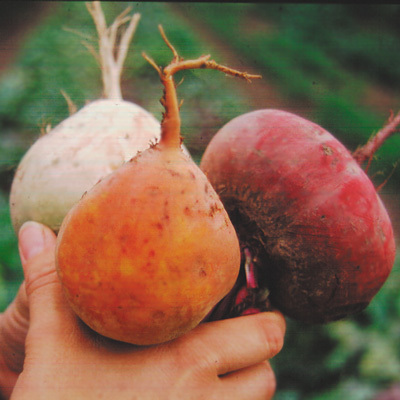 The deep purple exterior holds the mild, tender white flesh that’s as good as the fruit looks. The Prosperosa and the Bianca Rosa are my favorite eggplants. German Lunchbox Tomato – The fruits of this tomato are supposedly the size of a small egg. Pink and sugar sweet, Baker Creek Heirlooms say they are begging to be eaten. Perfectly sized for salads or putting in the lunchbox and my “new” tomato for 2019. Tendergreen Burpless Cucumber – I have developed a liking for cukes that don’t disrupt my digestion, hence the burpless variety I ordered this year. Medium-dark green, 7-12 inches long and prolific, I also bought these because, per the description, they tolerate cool soil and excessive moisture better than many. Welcome to my world! 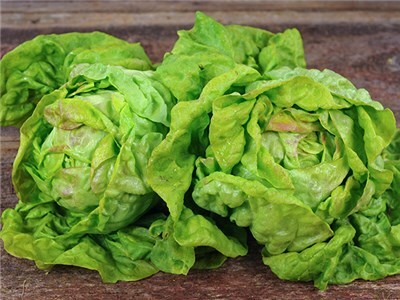 May Queen Lettuce – I am a sucker for butterhead lettuce…. This one is called the crown jewel of the heirloom garden. “Tender, yellow hearts are gently blushed rose, and the leaves are ethereally soft with the buttery sweet flavor.” Yum. And good for planting in early in Spring or in Fall. BTW now is the best time to get your heirloom, non-GMO, organic seeds from companies like Territorial Seed Company and Baker Creek Heirloom seeds. Wait too long, especially for garlic, and they will all be gone! There will be more seeds in my 2019 garden plan and probably replacement asparagus crowns (now that the trenches are already dug). But just knowing that these are on the way is making me smile on yet, another gray day!